Product Description: I'm the lead elf of Santa's workshop. The Elf In Charge Toddler costume is a festive red dress with green accents and decorative peppermint buttons. 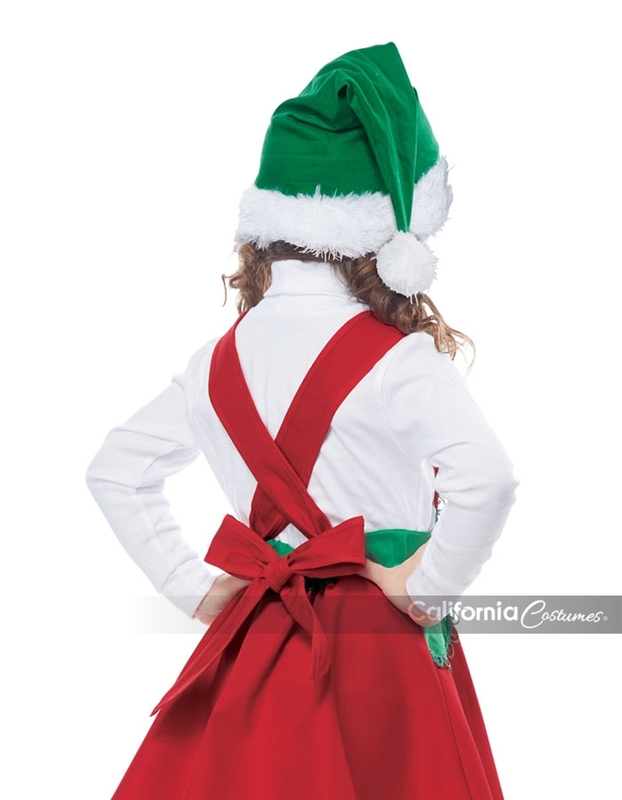 At the back of the dress are adjustable criss-cross straps that tie into a bow. 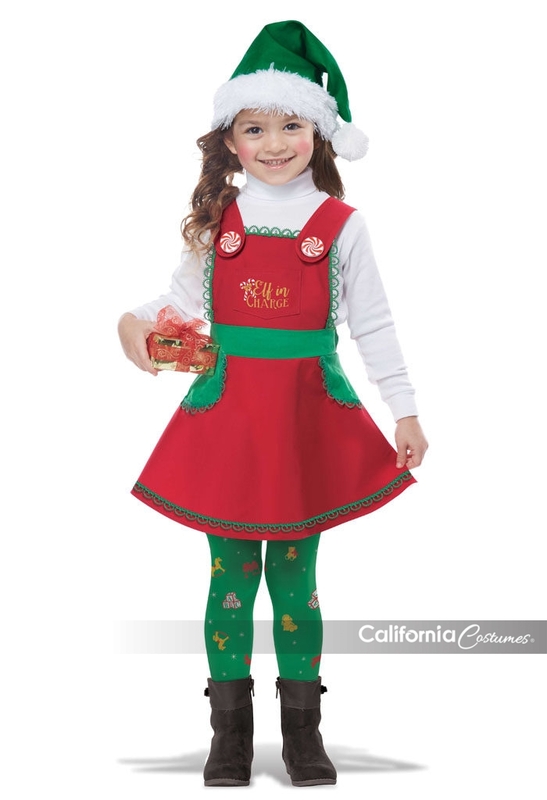 It comes with a holiday hat and a pair of leggings with print. Not included is the white turtle neck shirt.